It’s no secret that the UK has a thriving passion for the likes of country, Americana, and folk (rock) music. Nevertheless, for stylizations that find origins steeped in a distinctly geographic/historically influenced space, there is an underlying veil of fascination that can easily come in tow with groups who develop music in these (sub)-genres from across the pond. All the same, the UK is suffering no shortage of bands with an Americana-tilted influences who are also managing to do the style proud. 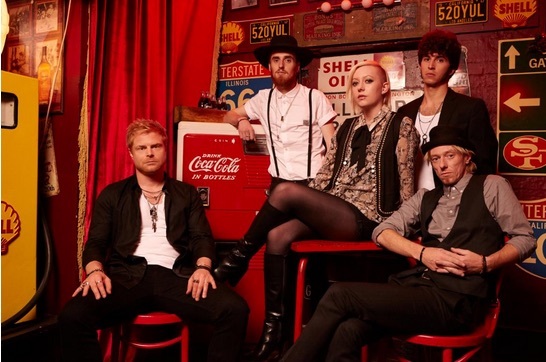 Now adding to the growing family of English-Americana bands, is the London-based quintet, Curse of Lono. Formed in 2015 by vocalist, Felix Bechtolsheimer, of previous group, Hey Negrita, Curse of Lono shares some fundamental similarities with Bechtolsheimer’s former band but stands well enough apart thanks to an injection of darker tone and musicality, as well as a songwriting style that makes potential applications reach beyond straightforward band-to-audience playback. Today marks the release of an eponymous debut EP (via Submarine Cat Records, 2016) and thus, the beginning of an official discography for Curse of Lono. Running a tight 16 minutes and four tracks in length, the five artists have put forth a project that is at once noticeably short but also manages to leave closure loose enough to prompt a desire for a full length album. Spread throughout the four tracks of this self-titled debut is a colorful, but not excessively busy, arrangement of instruments that rounded up acoustic and electric guitars, upright bass, organ, and drums. First glances might see this arsenal as pretty standard fare for an Americana/folk/rock group but diving further down leads to the subtlest of revelations. The first half of the album sonically introduces Curse of Lono with nothing too unsettling. No odd sounds or “compositional jump scares” are out to shock listeners. Rather, the very start of the record gives a strongly functional and-or supportive style motivation. Lyrics are minimally present and ambient sounds left in the mix in the beginning give lead single, “Five Miles,” an air of the real world that only supplements the ease with which people can meld the music with whatever is actually happening right in front of them. There almost seems, at one point, to even be a flubbed note on the lead guitar; while a second, heavily distorted, mildly fuzzed out guitar line drones long and close together notes underneath, giving the opener a slightly dazed flow. It’s as if the protagonist – although continually saying they’re “comin’ round again”– is indeed on their way but most definitely is taking their sweet time, like the ebb and flow of casually breaking waves. The lax, nearly surfy character of the introduction track picks up a few clicks on “He Takes My Place,” which has a central melody and motif of much more classic folk rock color. There’s just a hint of English accent that playfully peeks through on a handful of words here and there through the song (You fold your dollar bills / I’ll pour a drink and pop some pills), serving as that reality inducing reminder of, “Oh yes, these lovely folk are not in fact from the heartland of America.” of face Backing “ooo’s” gently sailing and harmonizing, like a quiet stream, support the stark lead vocal with just a touch of gospel choir character; channeling an almost old hymnal quality when the two elements are combined and collectively heard. Contrasting with its delicate style, the song follows a disciplined compositional structure and comes complete with its own folky refrain that, while plain and straightforward (Red, white, and blue I hear your call), makes “He Takes My Place” somehow feel more storied and aged than it actually is – giving it some subsequent extra charm. Past the halfway point of the album is where the quintet’s darker side truly comes to the surface. Gone is the light-footed folk rock and with “London Rain” and in its place is a deliberate heaviness that is showcased through what is, the most immediately polished sounding track on the EP. “London Rain’s” more defined sounds and low, straight spoken, tenor vocal, is like a turn almost as sharp as the pages in Johnny Cash and Charlie Daniels’ playbooks, which is where this track is could easily fit in and jam along. Heavily descriptive, the verses feel like they’re being read from a screenplay. (And I’ve traded in the daylight, for the ringing in my ear / But the love you throw right at me / is not enough to keep me here) The brief recurring “oo, oo’s” intermittently heard in the background between verses, float by in contrast with the crystal clear narration. Their echoes almost seem like the musical personification of a lone wolf’s howl, which would be a metaphor not too far off from the mysterious sounding individual cast in the lead of this song. Among the bold electric guitar, steady beat of bass notes, and the repeating descending organ motif, the instrumental parts give “London Rain” its darker and bluesy vibe. Even though the EP is only four tracks, now facing the latter half, this change feels drastic and the song feels out-of-place – or at the very least, like a shift with no prep time for the strong change in direction. That said, this very kind of emotional pull only serves to add to the thought of a “vagabond track,” which, in lieu of all the other aspects of its foundation, is a brilliantly clever way to create another dimension of artistic influence without further manipulating any actual sound or part of the performance. Like the previous two tracks, there is a purely instrumental interlude – one that gives the organ a chance to stretch and shine outside of its earlier patterned box – keeping a degree of project length consistency. Approaching the closing track, the dial turns back to the calmer Americana style of songwriting heard at the beginning of the EP. Yet, there’s an implanted sense of deeper grit that seems to linger from “London Rain.” Perhaps this is due to the legato upright bass part flowing underneath the melody, along with some of the residual vocal style from “London Rain” being kept intact, despite having a more melodic execution than before. This finale is a coming together of Curse of Lono’s two stylistic sides – harmony-soaked Americana and darker indie rock – and shows “Saturday Night” displaying some graceful sonic blending and musical connectivity. Interestingly though, just as listeners might be preparing their minds for a neat and tidy conclusion to this EP (Everything will be all right / It’s just another Saturday night), while the melody, tempo, and dynamics of the track evoke an urge to settle down, the lyrics take a decidedly bold turn (Come on pretty baby make love to me / all night long, ’til my eyeballs bleed / til I’m feeling all right, ’til I’m back on my feet…). The song even comes complete with a not-so-subtle double entendre of connective wordplay between two verses – a method of lyric writing that can be particularly clever or, in this case, mildly dirty (I’m a smooth operator with a golden tongue / I’m gonna break you in and make you come––away with me / where the air is clean, the sky is blue, the grass is green). As if left to contemplate the sensual and dangerous narrative laid out in the minutes prior, “Saturday Night’s” instrumental interlude appears at its end. A beautiful section of melodic, dynamically reserved, electric guitar; organ; and the unassuming but inevitably booming upright bass – long enough to be its own respite track – entertains for the last full minute of the EP. There’s plenty enough reason to see this finale as the neatly tied-up conclusion its first impression implies, as the actual ending of the track wraps with a brief arpeggiated flourish around the tonic chord. Still, it’s hard not to shake where the song finishes lyrically, since the last appearance of the song’s narrator has him ending on a note that doesn’t fully resolve so, in a way, the music is still leaving listeners with a degree of indecision and uncertainty. Given that each of these four songs are actually intended to accompany a short film (whose title is shared by the final track), what Curse of Lono have created with this debut is a collection of works that manage to balance on the line between music solely for listening and music meant as sonic enhancement. (Not to mention one of their self-described labels, “cinematic rock,” is dead on.) Finding out about this role for the EP after hearing the music works best, as the songs intrigue well enough on their own and their functional purpose merely provides a boost of impressed clarity for the EP’s compositional choices and certainly, is bound makes any listener want to hear the music again alongside its visual companion (which will be released in four installments around the EP). 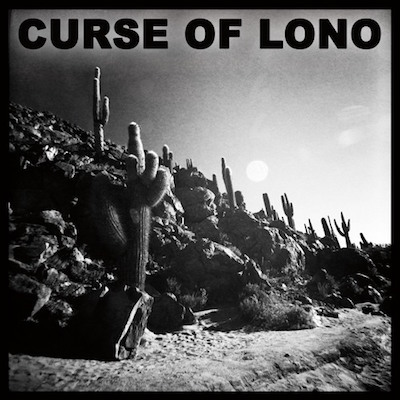 Curse of Lono is available now through Submarine Cat Records.